…The original artwork is comprised of images from Laurence’s extensive archive of images of plants. These have been digitally collaged photos of paint poured across glass, to create a layered transparency effect. 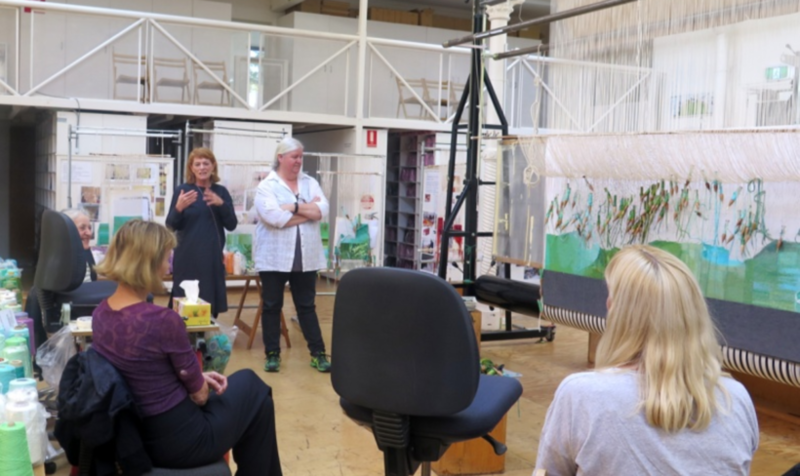 ATW weavers Chris Cochius, Pamela Joyce and Cheryl Thornton have selected a wide pallet of green’s to create this tapestry, including cotton yarns – which can be used to highlight areas in tapestry. ATW yarn dyer Tong Stefanovski dyed a new range of green cottons to achieve specific tones for the weaver’s requirements. 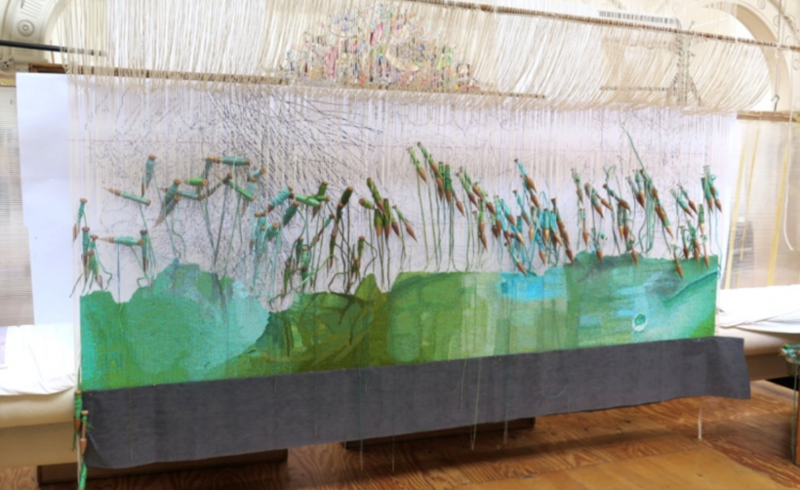 In Listen, to the Sound of Plants, the weavers are trying to capture the layers and use of transparencies and glass that are the hallmarks of Laurence’s work. The translation into tapestry is quite challenging for the weavers as they navigate the reflective surface elements of the design. They are working to achieve a soft watery effect by using very subtle colour mixing techniques and using many tones that are close together in the colour range. Listen, to the Sound of Plants in progress. Laurence gives artist talk to ATW weavers.